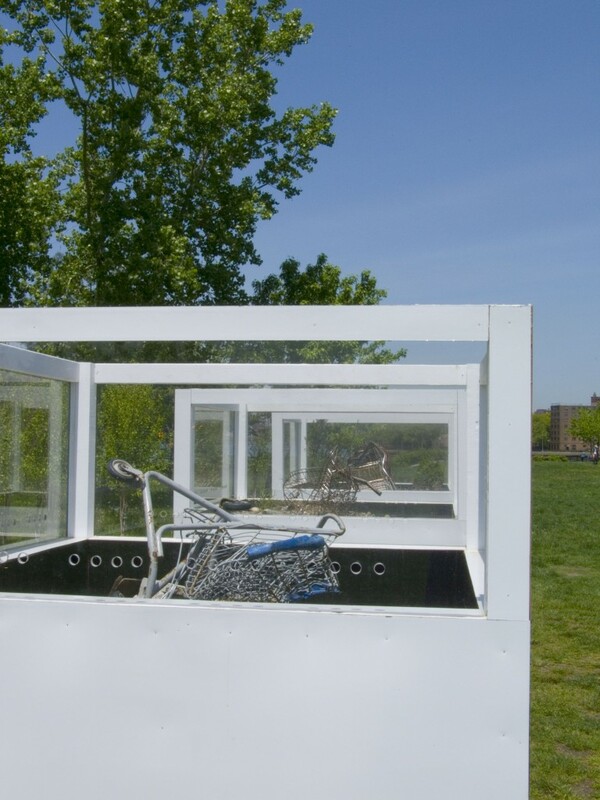 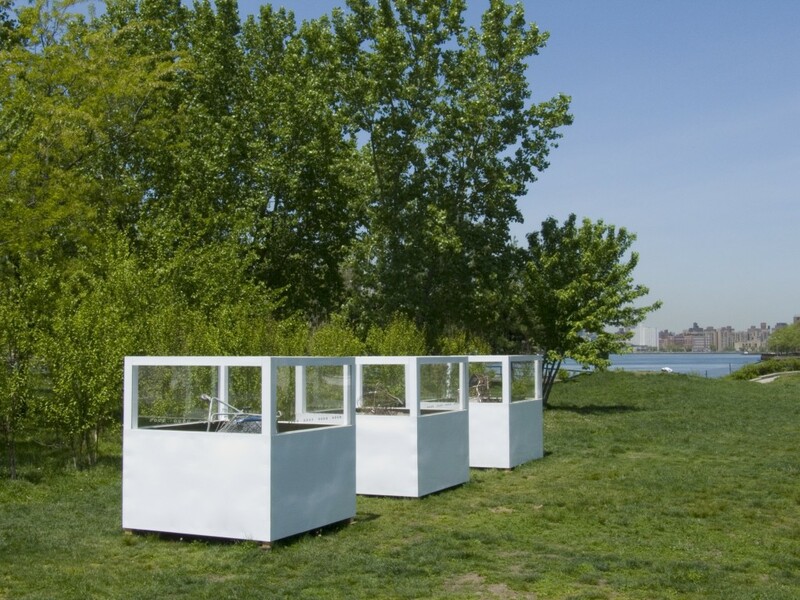 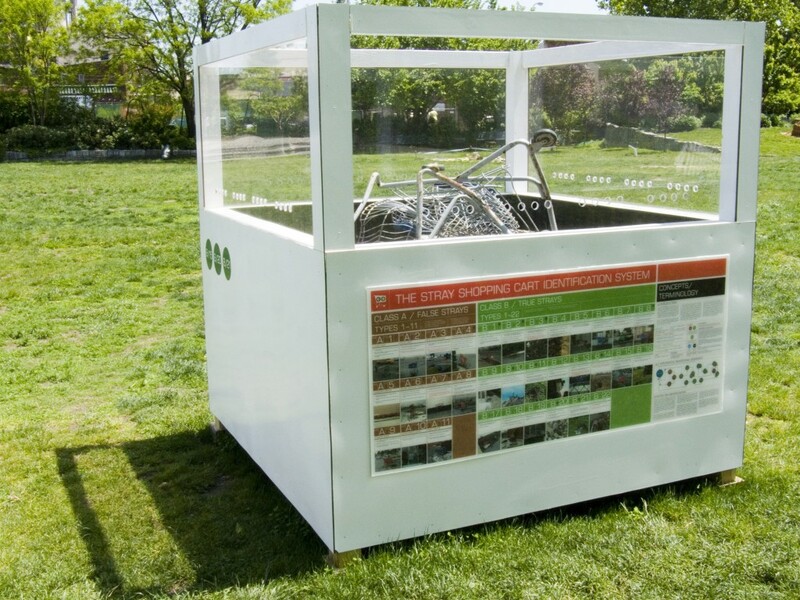 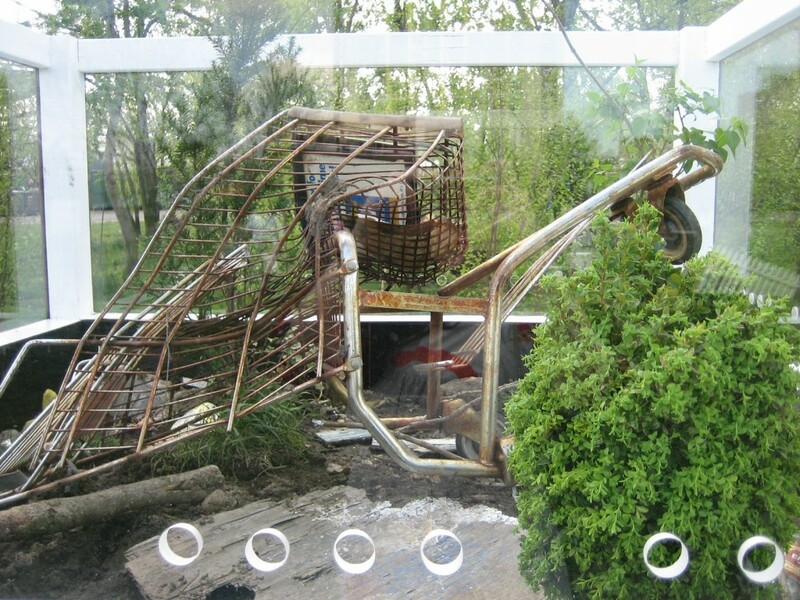 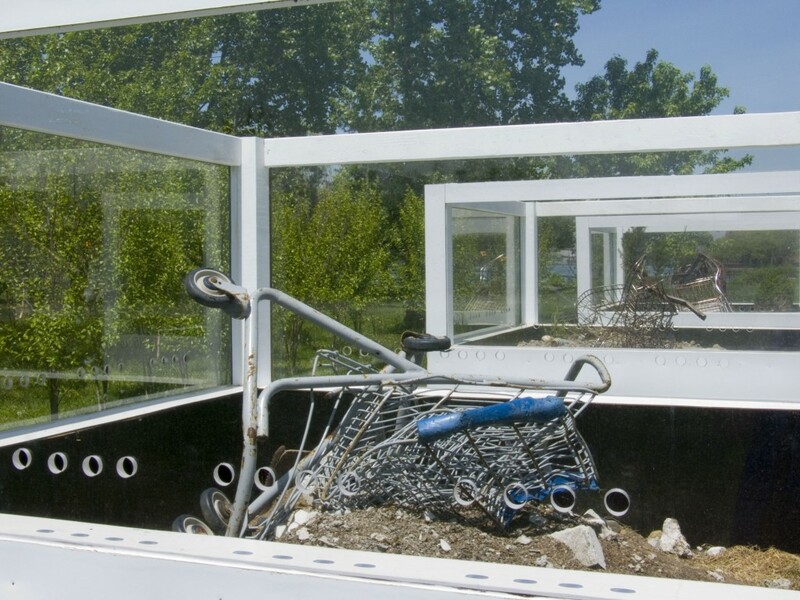 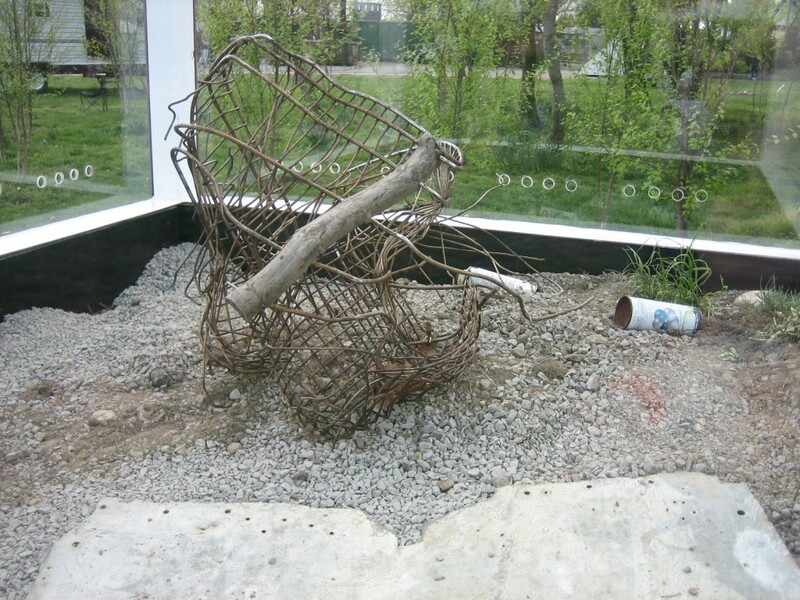 Three damaged shopping carts are housed in a vitrine, recreating the setting in which they were found. 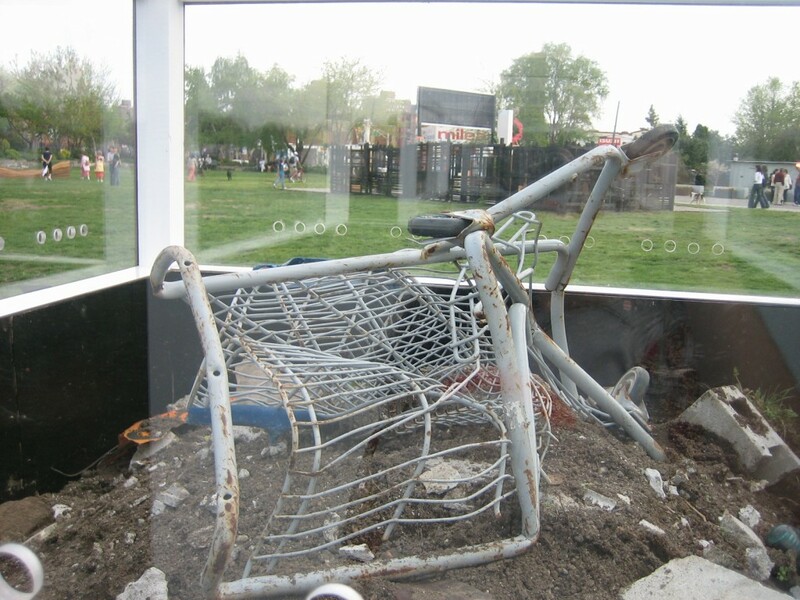 The tableau includes detritus surrounding the carts such as beer cans, fast food and gum wrappers, fake plants, dead leaves, and twigs. 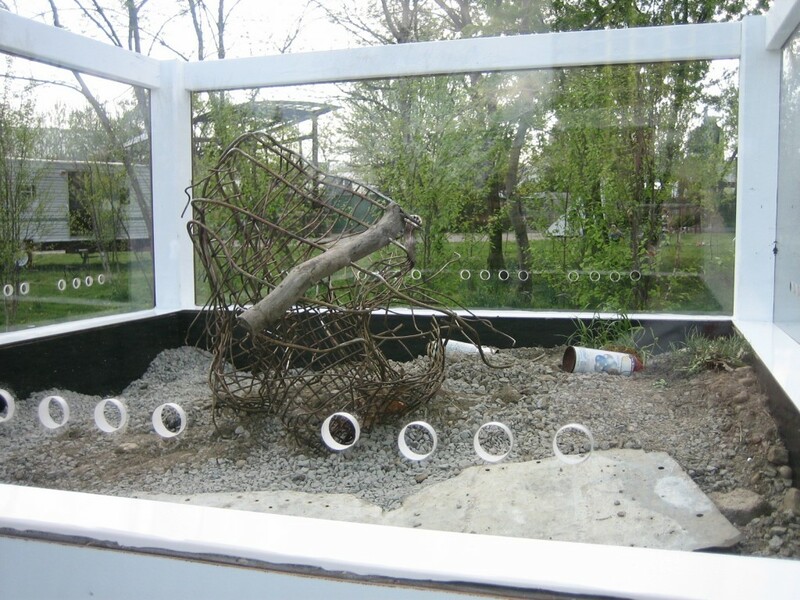 These pieces are meant to allude to museum dioramas, such as those found in the Natural History Museum.